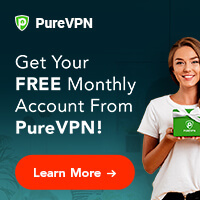 Reliable and secured virtual private network (VPN) Internet connections come at a price of about $5 to $30 a month, depending on who you sign up with and what services you pick. If you need to surf anonymously or watch foreign TV such as American programming. One choice of VPN service providers is ibVPN. ibVPN has prices that start at one of the lowest I had seen, only $4.95. Prices range up to $27.95 if you sign up for a business account, which would include multiple licenses. The price options of ibVPN are quite intricate, and may take a bit of time to figure out what is best for you. I'll get into that later on. ibVPN, at a first glance a pretty standard VPN service. The offer PPTP, L2TP, OpenVPN, and SSTP options. For users on mobile devices like iPhone, iPad, and Android Devices, PPTP and L2TP are what you need. Their VPN client can be used on standard operating systems like Mac OS/X, Windows OS, and Linux. In some countries that block PPTP or L2TP VPN, OpenVPN may be your only option (ie China). Using ibVPN, you of course can unblock TV and movie streaming sites like BBC iPlayer, Hulu, Netflix, and other sites that require a US, UK, or region specific IP address. Make sure you get a package with servers in the location you need. Unblocking sites in countries with internet censorship is a give, along with email support, and money back guarantee. Price for starter. For a cheap price, you of course have to give up some things, in this case, number of servers and server location. However, for $3 a month, some users may find this preferable. After all, to do what it needs to do, you only need 1 server, right? Their advertised price is $4.95, but if you sign up for the year at $36.95, the price drops (per month) and you end up paying only $3.03 USD a month. 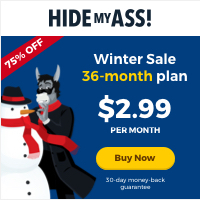 This is currently the cheapest offer we have found of any VPN service. There's unlimited bandwidth. This now may be considered a standard feature, as most VPN services offer it, but there are still VPN services out there that put a cap on your bandwidth at about 30G. Three bucks a month for unlimited internet with no restrictions is pretty damn good. Of course, you're limited to server location, and have to choose between US & CA, UK & IE VPN, or EU VPN. Perhaps the coolest thing about ibVPN is that they offer a free trial for 2 hours (now 6 hours) with no conditions. Free trial VPNs are pretty rare these days, but ibVPN has continually maintained this service. Sweet. Depending on where you're using the VPN and what for, there are advantages and disadvantages to both. PPTP is generally faster and easier to install, but can't match the security features of L2TP. OpenVPN is the most secure VPN protocol, and is preferable for users doing online money transactions or as a business solution. OpenVPN is not able to be used on mobile devices. Family and Business VPN packages are limited to OpenVPN. This is the most secure VPN protocol of course, so it's not “bad”, but there isn't the option to use the VPN on your mobile devices in this case. The good news is that you can try it FREE for 2 DAYS! You might notice that I haven't listed prices here! The reason being is that ibVPN has a ton of different packages, featuring all different types of VPNs, and different subscription styles for each. To be honest, it's quite confusing, and unless you have experience with VPNs, it's going to be hard to decide what you want. 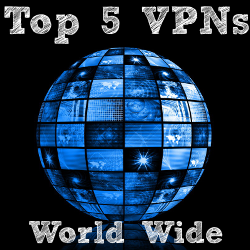 My suggestion here is to first get a clear idea of what your goals are for using the VPN. Do you want speed? Do you want a different IP address? Do you want a torrent VPN? Once you decide that, you can find a plan that fits your needs. Remember, you can always change plans later, so don't stress too much about picking the perfect one right out of the gate.